Private Walking Tour - With your own local private guide, step out on a two-hour deep dive through some of Toronto's less buttoned-down neighbourhoods. Check out Nathan Philip Square, Fashion District, Grange Park, Kensington Market, Queen Street West & colourful Graffiti Alley. This is urban Toronto at its funkiest. You will love exploring some of Toronto's more iconic Neighbourhood with your own local guide! 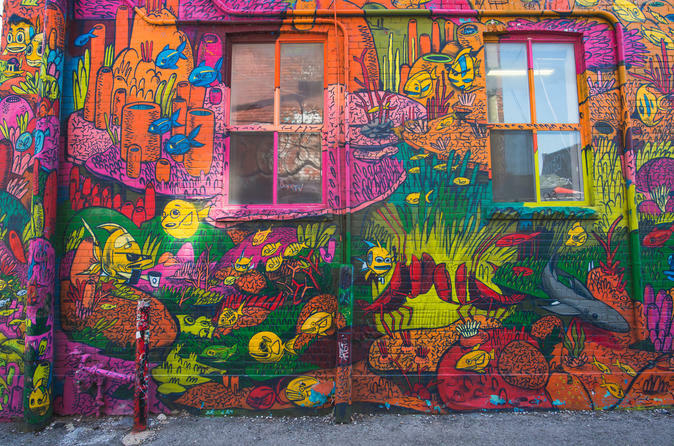 From the steps of Old City Hall, you'll stroll the picturesque Grange Park, hunt for treasures in quirky Kensington Market, explore the trendy Fashion District and walk hip Queen Street West to colourful Graffiti Alley. Tales of the City's sometimes old past - add a dimension of character to some of the city's unique areas. This is urban Toronto at its funkiest. Meet Up Details: Tour begins at 1h30pm and departs from the steps of Old City Hall and concludes near Graffiti Alley at the intersection of Queen street West and Spadina Avenue. Walking distance is 3.5 km. Look for a representative with a Moose logo. We can also arrange a pick up from the hotel depending on location.